There are many wonderful choices in Indian Pond Estates right now, but none of them have layouts like this! This is a unique one-of-a-kind layout with all the primary living space on one level. 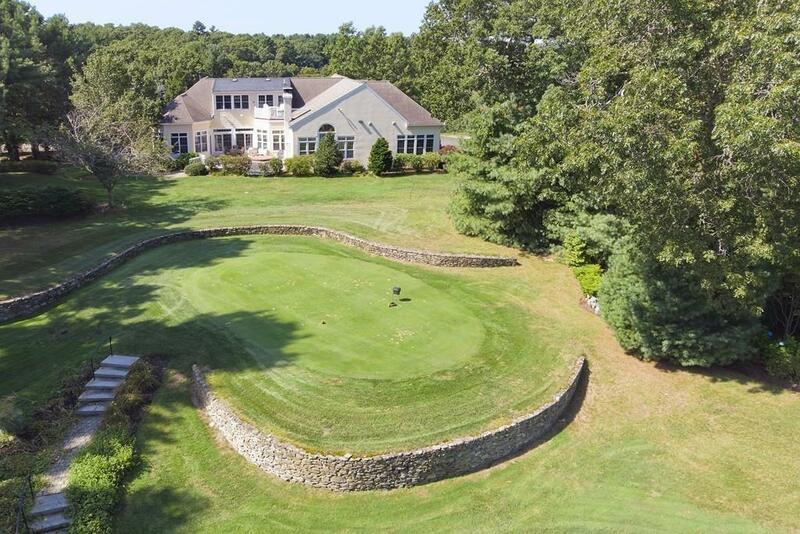 This home is located on the 5th T (signature hole - means no golf balls in your yard) of the IPCC championship golf course. Gorgeous views off the back of the house, walls of windows bring the outside in. Beautiful open floor plan, with private spaces too. Detailed finishes â crown molding, wainscoting, French doors, and high ceilings. Private library with leathered walls, a large Master en-suite. Lower level is a full walk-out with media room, two exercise/home gym spaces, gaming area, Â¾ bath and much more. Open kitchen with built-in banquet that seats up to 8, granite countertops, SS appliances, custom cabinetry, great for entertaining. Separate laundry and mudrooms connect to a spacious three car garage. Too many impressive details to list here, original owner, custom built, a must see.